This lecture concert explored how irony was used in music as a subversive commentary about the Soviet state. This is a complex subject and can be observed on many levels in the music including ones which are purely musical. The concert programme included works by Shostakovich, Part and Prokoviev. There were four performers: Thomas Kemp, Adrian Bradbury, Stephen De Pledge and Rivka Golani who played Shostakovich Viola Sonata. Chamber Domaine is at the cutting edge of music making in the 21st Century. Its excellence and dynamism have received widespread acclaim in the United Kingdom and abroad. The ensemble prides itself on its creativity, innovation and communication, developing partnerships that take music to diverse audiences. Under it artistic director, Thomas Kemp, the ensemble features many of the finest musicians in the United Kingdom. 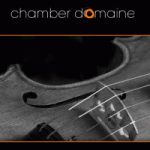 Chamber Domaine focuses on instrumental chamber music and song with programmes that range from the Baroque through to Contemporary. Quality and imagination are central to their vision be it in concert, recording or in education. Groundbreaking projects illuminate the music of today with music from three centuries. Chamber Domaine brings passion, commitment and high virtuosity to a diverse repertoire that makes music come alive whilst placing it into its cultural context: making music relevant to everyone. The Times recently commented “Chamber Domaine brilliantly demonstrated the thrill of young players successfully climbing Mount Everest…with exhilarating bravery and expressive force.” The New York Times praised the ensemble for its “intriguing programming” and “unabashed lushness” at its US debut in 2003 at Bargemusic. The ensemble gave its highly praised South Bank and Wigmore Hall debuts in 1999 and since then has performed at leading festivals and concert series in the United Kingdom, Europe and North America. The ensemble has a residency at Gresham College. They have also had residencies at the Victoria and Albert Museum, the Imperial War Museum, London and the Arnold Schoenberg Centre, Vienna. The ensemble has an education programme and works regularly with the Wigmore Hall Education and Community department. They have an ongoing project Music of Our Time which links art, poetry, architecture and music from the 20th Century in workshops and concerts, notably with the actress Helen Lederer and the composer David Horne. Chamber Domaine frequently give world and UK premieres by leading composers and have worked with Judith Bingham at the City of London Festival, Piers Helawell at the Cheltenham International Festival and Arvo Part at the Edinburgh Festival. A disc of this collaboration was released on the Black Box Label and was Editor’s Choice in Gramophone Magazine, which described the recording as “glorious”. They regularly broadcast on BBC Radio 3 and on radio in Europe and North America. In April 2008, the ensemble had a major tour of Sweden with the tenor Christopher Lemmings and made a broadcast on Swedish Radio to great acclaim. The ensemble was proud to have been selected for the Concert Promoters’ Network 2008-2009. Recent and forthcoming engagements include residencies at the Brighton Festival working with the sculptor Anish Kapoor, a residency at Kings Place, a series of concerts at Wigmore Hall and tours planned in Australia, New Zealand and Scandinavia. They are recording the sound track to a film Getting it On, a Universal Film with Richard E Grant about Cosi fan Tutte. The ensemble will be recording Das Lied von der Erde early next year in a performance on period instruments. Chamber Domaine has a busy schedule of concerts and is one of the most dynamic, versatile and creative ensembles of its kind.